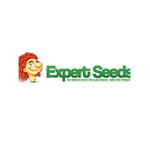 Expert Seeds - Northern Lights. Free US delivery. Northern Lights needs little introduction to anyone who has been a cannabis enthusiast for more than a short time. Old-timers will recognise it as one of the 3 mainstays of modern cannabis breeding. Along with Skunk #1 and Haze it has spread its influence far and wide. Northern Lights was originally developed in California in the 1970s as an indoor strain created by crossing a stabilised sativa with an Afghani hybrid. Arriving in Holland as a clone it was not possible to produce stabilised, reliable seeds and so Skunk #1 and Haze strains were used for seed production and to provide mother plants. Its predominantly indica genetics (90%) give a very sweet taste and a nice, laid-back, relaxing high. It is a compact plant with a dense structure giving very resinous buds with an aroma of honey, musk with earthy, indica notes. Indoors it will provide growers with about 400 gr/m2 in a flowering period of 55 days; outdoors expect to harvest up to 500 gr/plant during September. THC content is a very good 19%.